Using a technique called seismic refraction to look under the quarry floor. Lines were laid in a grid of wires. Geophones send a signal back to the computer when a sledgehammer is pounded down onto a heavy steel plate. All of the students took their turn at the sledgehammer and at working the computer. They were wonderfully cooperative with each other and they all seemed to have a pretty good time. We were lucky—it started to rain just at the end. 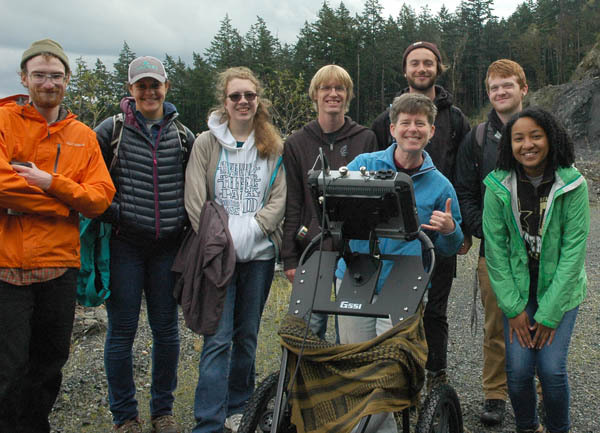 Dr. Jackie Caplan-Auerbach's Western Washington University geophysics class was back on Sunday using Ground Penetrating Radar (GPR) on the old quarry floor. 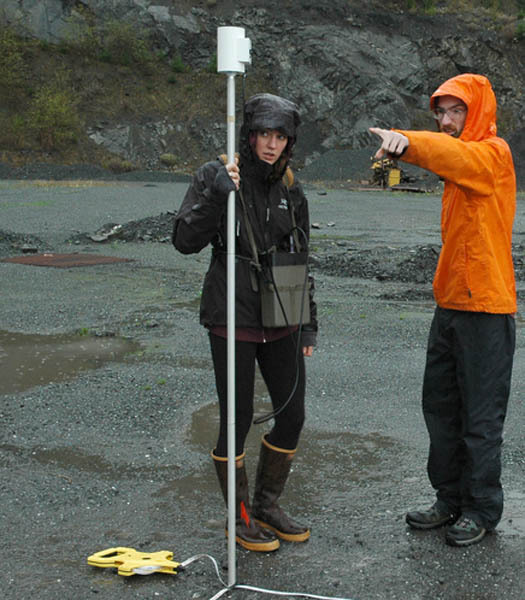 GPR uses radar pulses to image the subsurface. 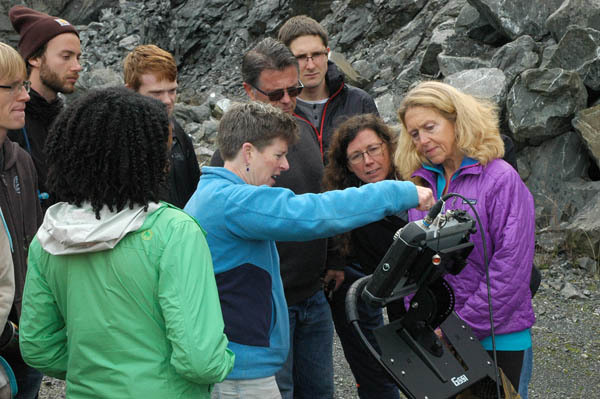 Day 3 of the Western Washington University Geophysics class with Dr. Jackie Caplan-Auerbach started out with drizzle and wind. An umbrella kept the Ground Penetrating Radar (GPR) computer dry. A low frequency GPR was used that sent a deeper signal than used last week.